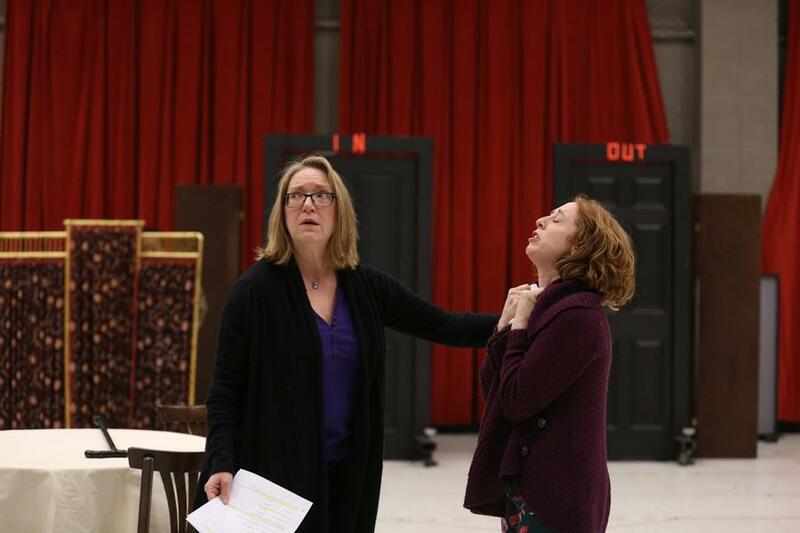 Kristine Nielsen (Communication ‘77) (left) rehearses for the Goodman Theatre’s upcoming production of “The Matchmaker.” The Tony award nominee will star in the production that starts this weekend. Making her first appearance in Chicago since graduating from Northwestern, Tony Award nominee Kristine Nielsen will star in “The Matchmaker” at the Goodman Theatre starting this weekend. The play, which inspired the hit musical “Hello, Dolly,” tells the story of Dolly Levi, a widowed woman who becomes a relationship matchmaker in 1896 in New York City. Nielsen (Communication ‘77) plays the role of Levi, an Irish immigrant who is trying to survive and figure out how to live in a world dominated by men. Lawrence DiStasi (Communication ‘88) joins Nielsen as a cast member of “The Matchmaker.” He said he admires Nielsen’s talent and how she is willing to make big acting choices on stage. The play deals with the issue of money and the disparity between different social classes. DiStasi’s character represents the poor, downtrodden side of society, while the lead male character, Horace Vandergelder, is a very wealthy, greedy and unpleasant person, DiStasi said. Although “The Matchmaker” was originally produced in the 1950s, the themes it presents are still relevant to the contemporary world, said Neena Arndt, dramaturg for the production. Her role is to make sure everything in the play is historically accurate. She said this version of the play will be very different than the original 1950s production as the cast includes several actors of color, one transgender actor and one actress with a disability. Nielsen added that the play has a dark soul, but said it is inherently American in nature and very optimistic.